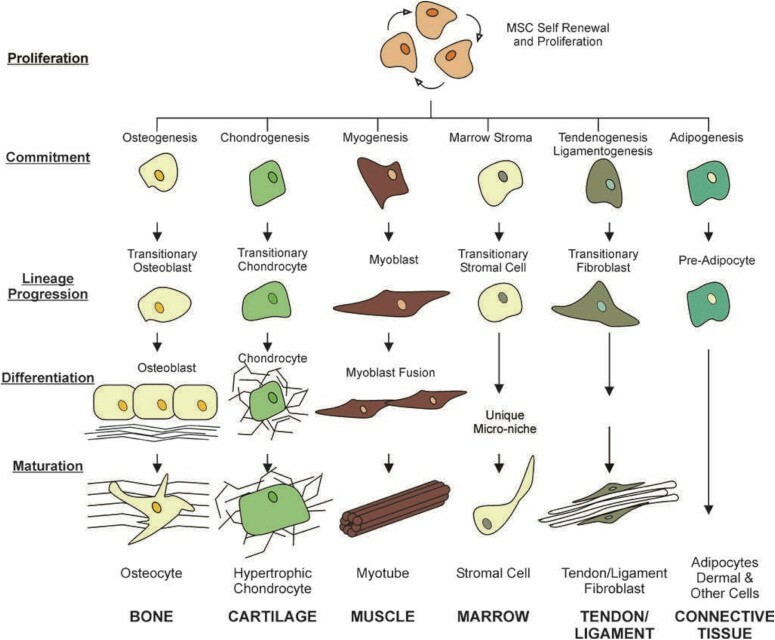 The origin of stem cells includes human mesenchymal stem cells which are cells with the capacity to differentiate into, among other tissues, osteocytes, adipocytes, and chondrocytes (cartilage producing cells). The isolation and characterization of mesenchymal stem cells occurred decades ago (1966). It wasn’t much longer before scientist began to study and identify the method by which these stem cells could be coaxed into forming cartilage-like tissue. This discovery led to research using animal models to evaluate the safety and efficacy of stem cell injections into arthritic joints. Results in animal studies were promising which led to human studies. Though only performed on one patient, the results were positive and led to further studies. Since that time, multiple studies have re-evaluated and re-investigated the safety and efficacy of mesenchymal stem cell therapy for OA. There has been almost universal acceptance of the safety in using autologous (from patient) or allogeneic stem (from donor) cells for OA. Likewise, almost all clinical studies show improvement in patient’s symptoms following administration of stem cells and many show radiographic evidence of increased cartilage volume post-stem cell injection. We continue to wait for the results of long-term studies assessing the benefits over years instead of weeks and months.